Gateshead’s Arch Sixteen Cafe has become a favourite for hip-hop heads. From monthly ObSceNE open mic nights to Reali-T’s Stay Tuned album release soiree, the intimate venue on the cusp of the High Level bridge is the perfect location for the premiere of new spoken word event, Born Lippy, on Wednesday 8th November. Hosted by performance poet Donald Jenkins, Born Lippy is a fresh monthly celebration of spoken word, and the debut line up boasts an eclectic mix of literary performance poets and vocal spitters from the street with a healthy dose of comedy, washed down with some spoken word fronted music. Headlining is one of Newcastle’s greatest poetic exports, Scott Tyrell. 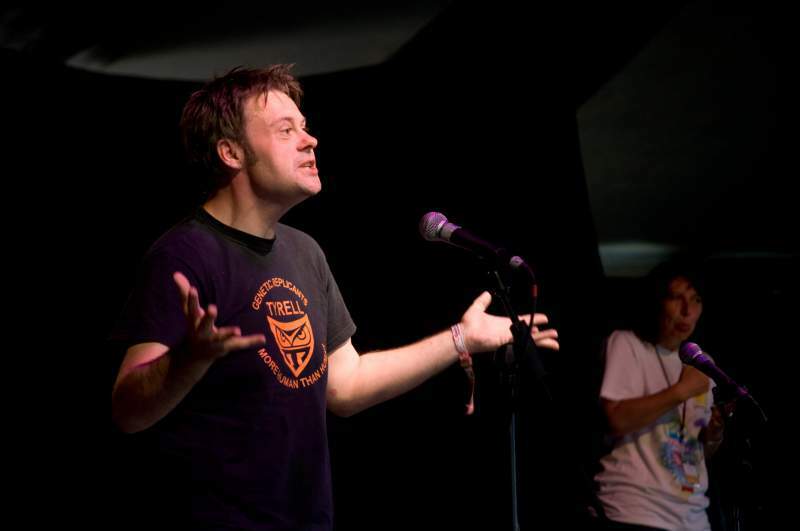 Scott can be considered simultaneously the best and worst performance poet in Britain; his oxymoronic title comes thanks to his wins at the BBC Edinburgh Fringe Poetry Slam in addition to the tongue-in-cheek Anti-Slam. Joining Tyrell is local legend Drop Dead Fred. Name dropped in a recent NARC. interview as an influence of Zico, Fred’s influence on local hip-hop is understated, particularly in his time as one half of the Verbal Terrorists. Additional performances come from hip-hop/dub collective Front Step Collective plus stints from Oorja Paul, Sarah Jane and Stewy Robz.